Tuxedos are the first thing that comes to a man’s mind when they hear the word wedding. This classic garment is not going out of style anytime soon. Tuxedos are usually worn at formal weddings. You can either buy or rent a tuxedo. Generally, buying one is a bit costly compared to buying a suit but renting a tuxedo is usually cheaper than renting a suit. Also, you can only wear a tuxedo at formal events so it makes sense to rent instead of buying it because you might never get to wear it again after the wedding. The decision to wear a tux at your wedding can be influenced by various factors. For instance, you cannot wear it if you are having an informal wedding such as a barn wedding or when your wedding is taking place during daytime. Similarly, a tuxedo is the best choice for a wedding in a ballroom. A tuxedo is also the perfect clothing to wear if the bride will be wearing a highly formal gown and a suit will be better than a tuxedo if the bride’s gown is more informal than formal. Choosing a tuxedo can be a tricky affair for most men because there are many details to consider such as the type of cuff, lapel, placket, or fit, and accessories like cummerbunds and bow ties. Most men are usually at a loss when it comes to choosing a tux. The problem is further compounded by the unfamiliar terminologies used to describe the tailoring details of these garments. Here are some of the common terms you should expect to hear when you decide to wear a tuxedo at your wedding. This is a stylish and classic jacket that is usually worn at semiformal and formal events. There are different types of tuxedo jackets that you can choose from including single-breasted (1-4 button front), double-breasted (1-6 button front with overlapping flaps). The flaps come in three types namely shawl, notched and peaked. Shawl lapel is the most formal, the notched lapel is the least formal and has a triangular indentation at the point where it meets the collar, and the peaked lapel is the most common of all three styles and features a V-shape design. This jacket has a standup collar that does not have lapel and is paired with a shirt that is Mandarin in color. You can opt for this jacket if you do not want to wear a tie. The design of this jacket features a cropped front with 2-6 buttons and two tails at the back. Traditionally, tux trousers have a single stripe on the sides. Such pants have to match with the jacket color and style wise. The stripe must match the material used to make the lapel. There are three types of collars of shirts that are worn with a tuxedo. These include a spread collar, mandarin or band collar and wing collar. The spread collar needs to be worn with a standard necktie or a euro tie, the mandarin collar is the most popular tuxedo shirt and it stands up round the neck and wing collar is the most formal style, and it’s mostly worn with tuxedo jackets and features a stand-up collar with downward points. Choose French rounded cuffs with one button. There are various neckwear options for you including a bow tie, necktie, bolo ties, ascot tie and a euro tie. Each one of these has unique characteristics and a suitable for different occasions. A bow tie is the best suited for classic tuxedos. It can come in a wide range of colors such as white (most formal occasions), black and patterned. A necktie can bring about a more casual look. Look for a silk one especially a black or navy blue one. A bolo tie is ideal for a wedding with a western theme, an ascot tie is wide, and it mostly patterned, folded over and then held together with a tie tack or stickpin. It is best for a daytime wedding and goes well with striped gray trousers and a half-coat. Lastly, a euro tie is a unique long tie with a square bottom it is a blend or an ascot and an ordinary tie that is usually held with a knot at the neck and goes well with spread and wing collars. The common accessories that go with a tuxedo are suspenders, a tie bar, cummerbunds and vests or waistcoats. 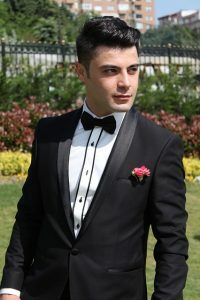 • Tuxedos are available in many different styles. • They appear to be more refined and make it easier to achieve coordination between the groom and groomsmen. 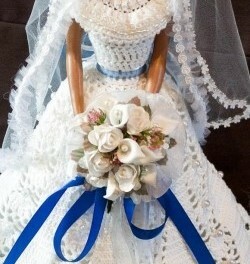 • They usually complement the dressiness of the wedding gown. • They are the best suited for formal weddings especially black tie ones. Basically, tuxedos are here to stay, and they make grooms stand out at a wedding. These clothes are also quite attractive to look at, and they give the groom an opportunity to express their personality and creativity. A fancy tuxedo also makes a man look presentable during their big day and shows that they made the effort to look great on their wedding. With the information explained above, you can easily walk into a tuxedo shop and choose one that makes you feel good, suits the occasion and matches the wedding theme. PreviousDo it Yourself Wedding Planning Success!